Marilynne Robinson, Absence of Mind: The Dispelling of Inwardness from the Modern Myth of the Self (New Haven: Yale University Press, 2010). 158 pp. $24.00. 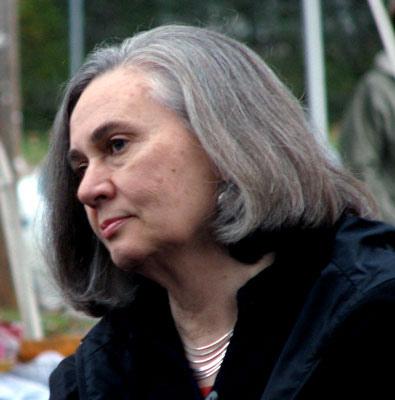 Marilynne Robinson sets out to restore subjectivity to modern thought in her 2009 Terry Lectures, reprinted earlier this year as Absence of Mind. Any account of reality which leaves out the “testimony of the individual mind” is limited and defective, and yet that is pretty much the only account of reality which moderns will offer or accept. “A central tenet of the modern world view,” she says, “is that we do not know our own minds, our own motives, our own desires.” Modern thought, whether descended from Darwin or Marx or Freud, is eager to unmask those motives and desires, revealing the real forces behind human behavior. (How the modernist can act from superior motives and desires, if everyone else’s are suspicious, is a mystery that he is not curious to solve.) With gentle logic and a zinging prose, Robinson shows that the modern enemies of mind, those who engage in “a hermeneutics of condescension,” claim the authority of science without practicing “the self-discipline or self-criticism for which science is distinguished.” In the end, thought without mind is self-refuting. Much of what passes for modern thought, Robinson argues, is little more than the bulletins of science without the method of science: “parascientific literature,” she calls it. It sets out to establish its scientific credentials by excluding “the beauty and strangeness of the individual soul, that is, of the world as perceived in the course of a human life”—this is its first principle, its “signature,” its “inflection.” As Robinson convincingly demonstrates, though, the genre of parascientific writing first arose and took form as “a polemic against religion,” and has never really progressed beyond its origins and earliest form. Robinson is the right one to defend the mind and soul, subjectivity and “novelistic interest,” against those who would eliminate inwardness from reality. She is not only a great novelist—one of the two greatest American novelists of her generation—but she is also intensely religious, an unembarrassed Calvinist whose Death of Adam, a 1998 collection of essays, unembarrassedly entertained “the idea that people have souls, and that they have certain obligations to them, and certain pleasures in them.” Unlike many of her contemporaries in the fiction-writing trade, Robinson understands that a fashionable atheism is far graver a threat to literature than religious intolerance. Absence of Mind is divided into four chapters. The first, “On Human Nature,” borrows its title from a 1979 Pulitzer Prize-winning book in which the sociobiologist Edward O. Wilson sets forth a popular version of his view that human behavior is genetically determined. Wilson is not Robinson’s only example of a parascientific thinker; she also examines Dennett, the evolutionary psychologist Steven Pinker, and the biblical scholar James L. Kugel. In this chapter, she carefully defines the “assertive popular literature,” the “remarkably reiterative literature,” that she calls parascientific. In the book’s strongest and most memorable passage, she examines how the parascientific writers have handled the case of Phineas Gage (18231860), the American railroad worker who became famous for surviving “an explosion that sent a large iron rod through his skull.” The case is a favorite of parascientific writers, who are struck by the fact that, after the accident (in the words of one), Gage became “fitful, irreverent, and grossly profane.” What this supposedly proves is that a brain injury had destroyed his ability to exercise appropriate social control over his speech, demonstrating that appropriateness of speech cannot properly be described as an activity of mind. Robinson makes short work of such analysis. The explosion might have damaged not merely his skull, leaving Gage disfigured and half-blind, but also his hopes and self-image. If so, irreverence and profanity might not be so surprising, since they are, after all, attitudes that “culture and language have prepared for such occasions.” But parascientific writers never stop to consider how the explosion might have affected Gage’s subjective life, because they rule it out of account from the start—even though, a century and a half after the fact, and entirely dependent upon secondhand accounts in an imprecise and dated idiom, they cannot possibly know anything about Gage’s injury with any degree of certainty. Robinson lowers the boom on them:I trouble the dust of poor Phineas Gage only to make the point that in these recountings of his afflictions there is no sense at all that he was a human being who thought and felt, a man with a singular and terrible fate. In the absence of an acknowledgment of his subjectivity, his reaction to this disaster is treated as indicating damage to the cerebral machinery, not to his prospects, or his faith, or his self-love. It is as if in telling the tale the writers participate in the absence of compassionate imagination, of benevolence, that they posit for their kind.In the third chapter, Robinson examines “The Freudian Self.” She suggests a different source for the neuroses that Freud identified in his Jewish clientele—by pointing to the ambiguous and increasingly perilous situation of Jews in Vienna. Because he dismissed such immediate worries out of hand, Freud could not even be bothered to refute such an obvious and alternative explanation. That his latter-day followers commit the same error, knowing what became of the Viennese Jews, is inexcusable. Ideas that claim the authority of science are as susceptible as any other to what Robinson calls “cultural contamination,” but the sense that such figures as Freud introduced an “epochal change” in modern thought is only heightened by viewing them “against a background void of detail.” To fill in the background, after all, might require something in addition to science to complete the picture of man. And that is the theme of her fourth and final chapter. “Thinking Again” reveals that Robinson has been writing a defense of man all along. Perhaps even more significantly, Absence of Mind is a defense of the humanities—history, literature, and especially religion. Without them, human life is incomplete, because the subject of the humanities (“the witness of mind”) is otherwise dismissed as irrelevant. If there is a “modern malaise,” Robinson suggests—if indeed there is “an emptiness peculiar to our age”—the reason is not that the advance of science has caused “an ebbing away of faith,” impoverishing modern experience. To the contrary, men and women still hunger for the “felt life of the mind,” which has been eliminated from their experience only because they have made the mistake of falling under the influence of the parascientific writers thoroughly dismantled in this short but brilliant book. I have not (yet) read her book, although I have read and enjoyed Housekeeping and Gilead and a couple of her essays in Harper's. And yet aren't the "assertive atheists" straw men, really? Surely the purview of religious sensibility hasn't waned over the past two centuries because of the likes of *them*? It seems to me that her arguments for humility and complex subjectivity are not only arguments against atheism, but also arguments *for* agnosticism (and certainly not arguments for religious conviction). In contrast to Dennett et al, Darwin and Nietzsche argued for the death of God with a certain wistfulness-they well knew what was being lost. I have not read Robinson's book but am now considering picking it up. I know that as a scientific person myself nothing angers me more than people like Richard Dawkins using science as a proof on the absense of a god. Not believing in a god requires a similar amount of faith as believing in a god. If one were to start from a neutral standpoint and take a purely scientific route to an answer the problem would arise that the concept of god is something that is above the universal law, the laws that science relies upon, therefore in any physical or thought experiment there is no control element present because nothing can control god. I am interested to read her book, it seems like it is a continuation of the debate on the Copenhagen interpretation in physics (put in a purely philosophical realm), summed up in Einstein's and Bohr's "God does not play with dice" exchange. sorry for the somewhat science nerd comment. A quick rejoinder to Kyle, if such a thing is permitted. Dawkins does not use science to "prove" the non-existence of god, no more than he uses science to "prove" the non-existence of black pather mechanisms and thetan souls. Dawkins argument and what we currently know about the world to conclude that the possibility of god's existence is vanishingly slim. This is really interesting--I doubt I'm going to read Robinson's book (it sounds like it'd be too infuriating for me) but it's interesting to hear how an unabashed religious humanist (and brilliant writer) comes at these sorts of problems. It sounds like she doesn't know that these things are also recognized as problems by people who don't share her exact faith or interest, and who are coming at them from a different angle--i.e., that of posthumanism and systems theory. Ultimately, I think that's a better and safer solution, especially for people who don't share her faith. Excellent review -- you do a good job picking out the most lucid parts of her arguments. I was disappointed in her book, in that I thought it was too densely reasoned. It seemed written for an academic audience (makes sense, considering the venue in which the essays were delivered), but I would rather have seen her make the same arguments in more straightforward language for a general audience. It's a good defense of the humanities and refutation of parascientific arrogance, however. My characters struggle with faith,too. It is a struggle worthy of respect. I understand what you are saying. What upsets me about Dawkins is his contempt for faith in anything while his argument relies on a conclusion requires just such a leap as the belief in god. While for the most part i agree with his conclusion about the non-existence of a god. I understand that i have as little proof for it as any christian, muslim, jew etc. outside of my own conscience and personal scientific conviction. Dawkins argument and what we currently know about the world to conclude that the possibility of god's existence is vanishingly slim. And what do we really know about the world anyway? More importantly, how can Dawkins know that he is not a magical being who has been robbed of the consciousness of that fact by The Devil, with God's permission? As Job, he is afflicted by forces beyond his comprehension, in Dawkins' case, by the need to evangelize that God isn't there. If Dawkins was so rational, he would stop evangelizing because he'd know that science is fundamentally right and therefore undeniable. And yet there is a peculiar sense of mad urgency in his work. I just want to say thank you for this blog. It is a wonderful resource on literature, generally. While I don't agree with your politics, necessarily, they aren't much on display here, as you don't seem to be a dogmatic culture warrior. What's interesting to me is that even though you profess to be conservative, your outlook on criticism is remarkably liberal. You seem to have come to the conclusion that there is no objective standard by which to judge, rather you take each work for what it is. On your recommendation, I read Robinson (on my Kindle)and will teach its argument in my contemporary literature and culture class. I think that is an excellent introduction to contemporaneity. PS: I hope you and family are settling in. I enjoyed your thoughts on Robinson's essays and the exchange of opinions in the comments very much. I've thoroughly enjoyed everything she's written, although I found The Death of Adam heavier going than her fiction. I will now read Absence of Mind with a clearer idea of what she's writing about. Thank you.